Want to redeem beauty products. Currently the site has 25,372 beauty products and 2,456 reviews and it's growing fast. What I love the most about the site is the product redemption feature. You will be rewarded with points on your activities on the site. With the points you are able to redeem the products for free. You can redeem the products that you are already using to save some money, or redeem new products to try out before purchasing the full size. If this interest you, do use my affiliate link so I can earn some points :) Just click <<here>> and you will be directed to the sign up page. Currently I have only 500 points from the registration. I do hope I can earn more to redeem the 3ce lip & cheek tint. Your help is very much appreciated. 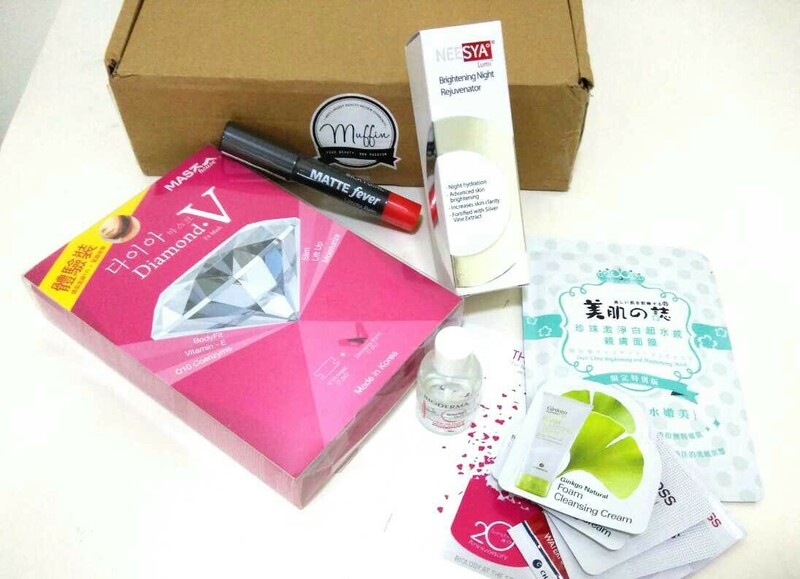 As an introduction, the Muffin Beauty team send me some trial products as a welcome gift. I really love everything curated for me in the box. To check out my reviews on the products, do follow me on my Muffin Beauty profile. Cari Jam Tangan Murah? Ya disini tempatnya. Cek sekarang! Buktikan sendiri harganya. Tunggu apalagi? Ayo order sekarang sebelum kehabisan. Hide dark eye circles with lipstick? Sephora Launches Beauty Subscription Box Play!